Since July 1st, 2016, 365 Recreational has been serving Washington State medical patients. Almost all members of our staff are Washington State-certified consultants, and can serve medical patients with any questions or concerns they may have. 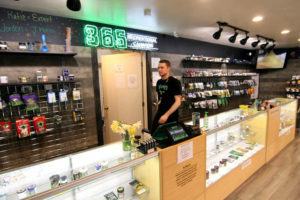 Our small Shoreline recreational/medical hybrid marijuana shop has a huge selection of non-smoke THC and CBD products for medical patients who are looking for alternative delivery methods. Some of our most popular cannabis products for medical patients are those that are completely CBD-based, or have a higher ratio of CBD to THC. These marijuana products come in various forms including concentrates, edibles and topicals. 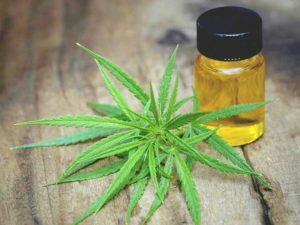 Ready to stock up on high CBD cannabis products? Swing by 365 Recreational at 17517 15th Ave NE in Shoreline – open 365 days a year, Monday thru Thursday from 9am to 9pm, and Friday thru Sunday from 9am to 10pm. Browse our online menu to see our full selection, and check out our daily, and happy hour deals! Your method of describing the whole thing in this paragraph is actually good, every one be capable of simply understand it, Thanks a lot. There are also CBD products that are completely free of THC for those without a medical card or in a state that doesn’t allow adult use.